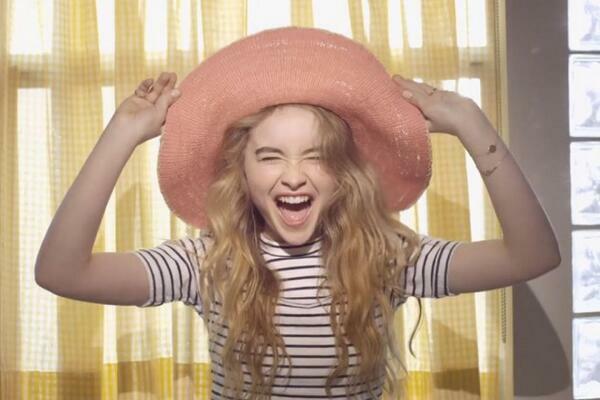 You are here: Home / Celebrity Video / Sabrina Carpenter Introduces Her New VEVO YouTube Channel! Sabrina Carpenter Introduces Her New VEVO YouTube Channel! Disney Channel star from Disney’s Girl Meets World, Sabrina Carpenter, is not only hard at work on the set of her show on Girl Meets World but also her music! With all the amazing things going on in Sabrina’s life right, she wanted to take a moment to thank everyone for the support of her new Can’t Blame A Girl For Trying EP and to also say that she has a new YouTube channel. Check out her message on her new channel by watching the video below! « R5 Performs “Forget About You” On Live With Kelly And Michael! – Watch Here!